Sandra and Brian said yes to forever with each other last St. Patrick’s Day and what a fun day it was! A wedding in the beautiful surrounds of Howth, Dublin. I knew it was going to be a good one and it did not disappoint. For me it wasn’t just filled with beautiful details (of which their were loads), but it was filled with so much genuine love. From the minute I arrived for prep shots at the hotel Sandra and her girls treated me like family. It was all smiles and laughs, champagne and old stories. I had so much fun watching the excitement build. 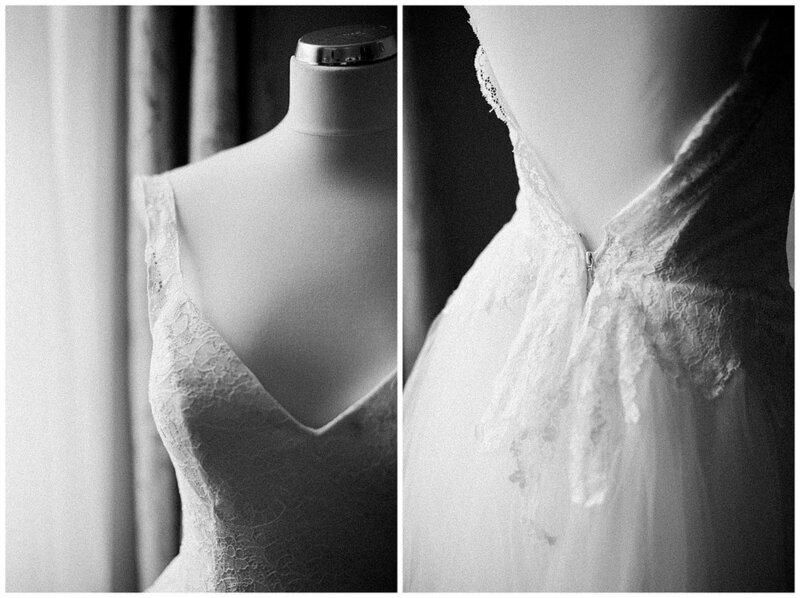 Sandra had the most beautiful details collected for me to photograph, which is always a favourite for me. However, the most amazing part was the dress. 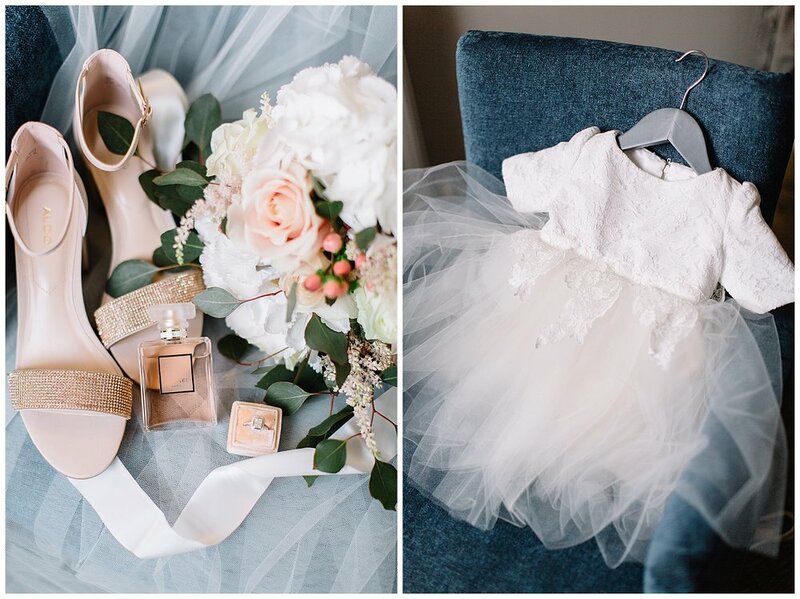 Not only had she designed her own wedding dress, but she had a replica version made for her little girl. It was just the most precious thing ever! When she had first told me her daughter was wearing a matching dress I did questions it, but she really knew what she was doing. Beautiful and timeless! What a special memory for them to share together. When I arrived at the church the first thing I saw was Brian’s smile. He was like a cheesier cat! His face as Sandra walked up the isle would move anyone to tears. Yes, even a stranger. Their ceremony was simple and personal in all the ways you’d expect from a couple so in love. Once the nuptuals were done, it was a quick but fun stroll against the epic winds, to the reception at The Abbey Tavern. A super trendy and cute spot. Filled with exposed brick, natural fires to keep guests cosy and little nooks and crannys that added so much character. It really was a great location. We braved the crazy winds outside for some photos and then headed inside to warm up and finish up with some family shots. Sandra and Brian weren’t really pushed on photos of themselves even though it was a big day. For them the most important element was capturing their nearest and dearest and celebrating them all coming together. It was fun because I got to do what I love best… capture all the hidden moments candidly. It was such a fun day for me to be apart of and I’m so honoured they chose me to capture it all for them. Wishing you guys the most amazing journey together!